I called it Skinny Sammy's. I used to make vegan gluten free raw balls, brownies, muffins, even cakes. I was making so much that I actually started to sell some of them on Instagram and at local health food stores. I love baking and trying out new recipes with tons of healthy ingredients. I love control (kinda a control freak... which may come as no surprise) and I love knowing whats inside what I eat. Since Im home with my concussion, doing a bit of research on brain food, but trying to stay away from screens as was suggested.... I was told I can bake. Well guess who will have tons of fun healthy recipes for you up here. Moi! Here is a recipe I made this morning. Tons of fibre as I added in extra fibre from Renew Life and tons of protein. Try them for yourself! You pretty much just add everything into a food processor and blend together. 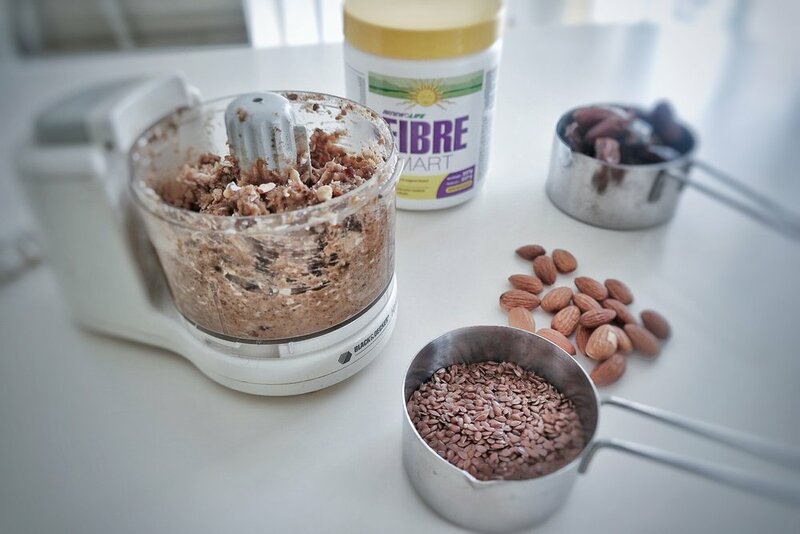 Be careful how much of what you add in... as in don't break the machine and add all the almonds at once. 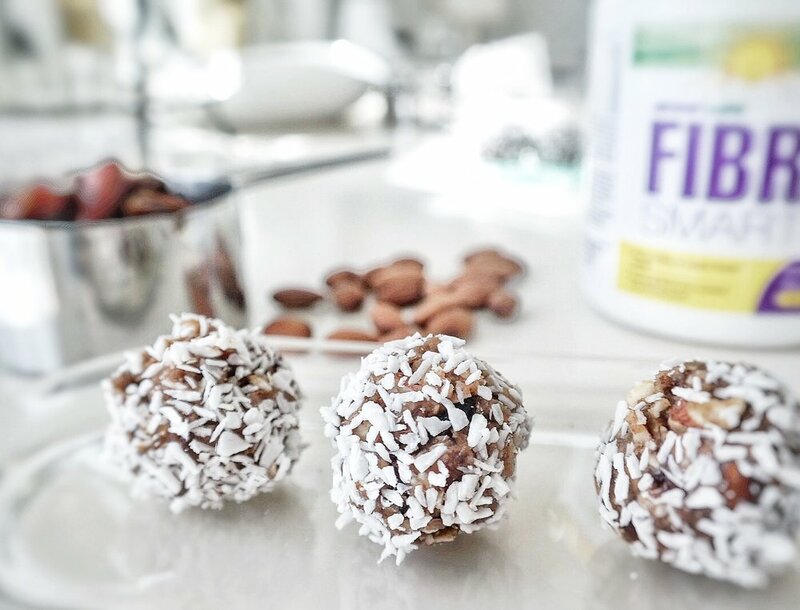 I then made them into little balls and rolled them in more unsweetened coconut shreds. Put them in the fridge for about 30 minutes and voila.